Lehengas are popular nowadays as they are a statement piece. They come in numerous colours, fabrics and heavy embroidery work that create a unique look as you wear them. 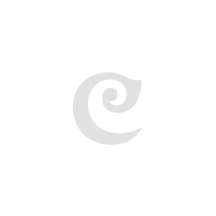 Craftsvilla features a fabulous collection of lehengas that are ideal for any kind of occasions. Lehengas make you look good when they are a perfect fit. Such lehengas enhance your beauty and make you the center of attraction wherever you go. You can find an array of semi stitched lehengas on Craftsvilla. These semi stitched lehengas for sale reduce the overall stitching time that makes the whole process lot easier for you. 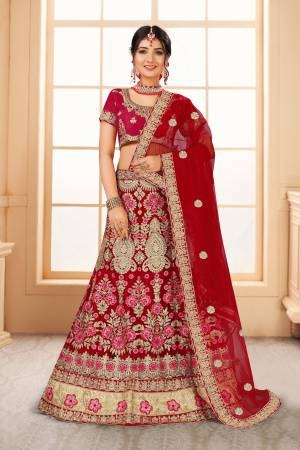 An advantage to semi stitched lehengas is that you can get it tailored as per your shape and measurements which is an option not available with readymade lehengas. You can avoid that hassle and choose a lehenga of your liking. Craftsvilla offers you plenty of options when it comes to style, fabric, colour, pattern and work of a lehenga. The different styles of lehenga available on Craftsvilla are straight cut, A-line, fish cut, flared, mermaid cut and so on. You can amp up your look by choosing fashionable lehengas in different styles to wear for different occasions. You can also choose lehengas with jackets to keep up with modern fashion standards. You also can choose between sleeveless lehengas to full sleeves, short sleeves or cap sleeves. The colours and fabrics of the lehengas make them ideal for specific occasions. The semi stitched lehengas in silk, brocade, chanderi silk, velvet and net materials look gorgeous with their detailed embroidery and threadwork. These lehengas are perfect for weddings, festivals, ceremonies and other cultural events. You can pair them with traditional or Temple Jewellery to complement the lehenga for an Indian look. A reason why many prefer lehengas is that they are quite comfortable when compared to sarees. It is very easy and simple to wear a lehenga. Lehengas are also suitable for young as well as middle aged women. Those who want to look of a saree but prefer a lehenga can drape the Dupatta of a lehenga just like a saree pallu. Lehengas are a traditional yet modern outfit that enhances fashion and style. Browse through the semi stitched lehenga online collection at Craftsvilla for a lehenga that perfectly complements your style and personality.